Mom’s the one person who can always put a smile on your face. 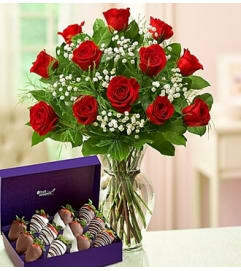 Return the favor with a sweet treat picked just for her! 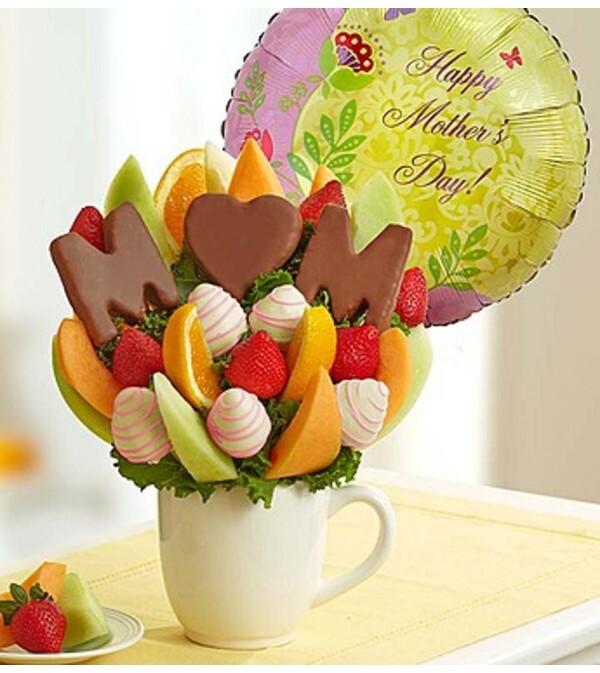 An assortment of fresh, juicy strawberries, oranges and melon will make her mouth water. 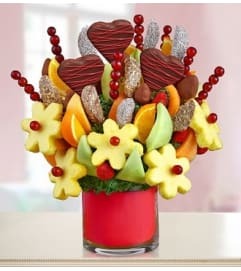 But what she’ll really love is the dipped pineapples spelling out “M-O-M”, with a heart in the center! You can even add on a festive Mother’s Day balloon to help celebrate her special day. 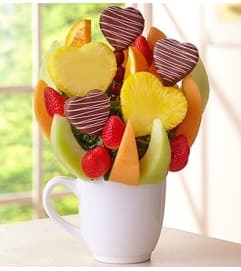 Fresh fruit arrangement includes pineapples dipped in milk chocolaty confection that spell out M-O-M, with a heart-shaped “O”; honeydew, cantaloupe and orange wedges; and both strawberries dipped in white chocolaty confections and undipped strawberries. 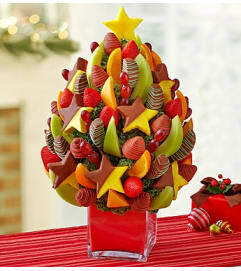 Allergy Warning: Fruit Bouquets products may contain peanuts and/or tree nuts. We recommend that you take the necessary precautions based on any related allergies.